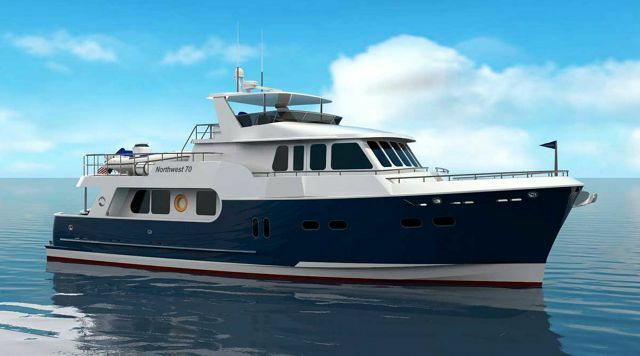 The Northwest Yachts 52 is a tough, rugged trawler made for the boater that doesn’t let a little chop get in the way from exploring unchartered waters. 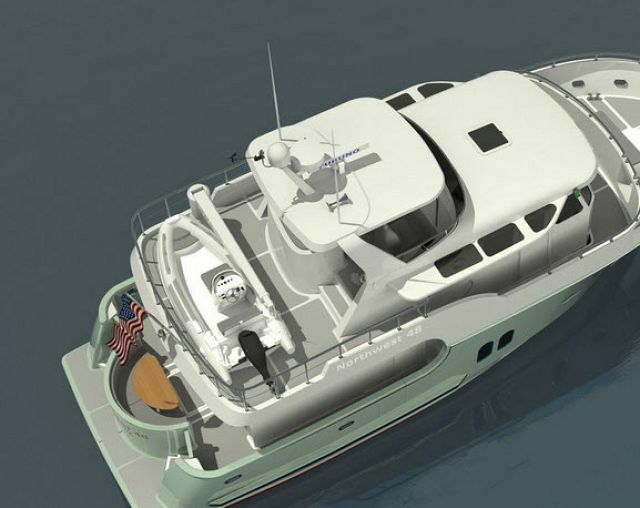 The hull and deck have been vacuum-bagged and resin-infused to create an exceptionally strong platform, an ode to the changing weather patterns of the Pacific Northwest. 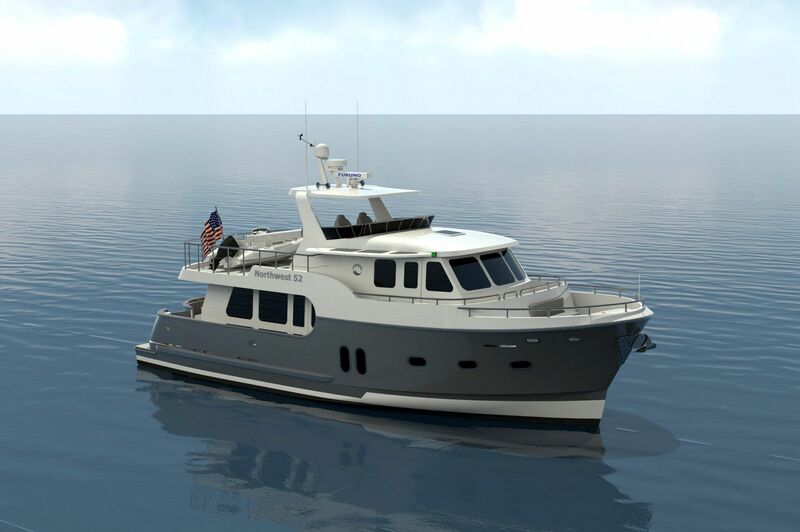 Yet inside the Northwest 52, owners are greeted with a pleasant and spacious interior that is both comfortable and inviting. The attention to detail becomes very obvious as you begin to walk through the salon to the staterooms. 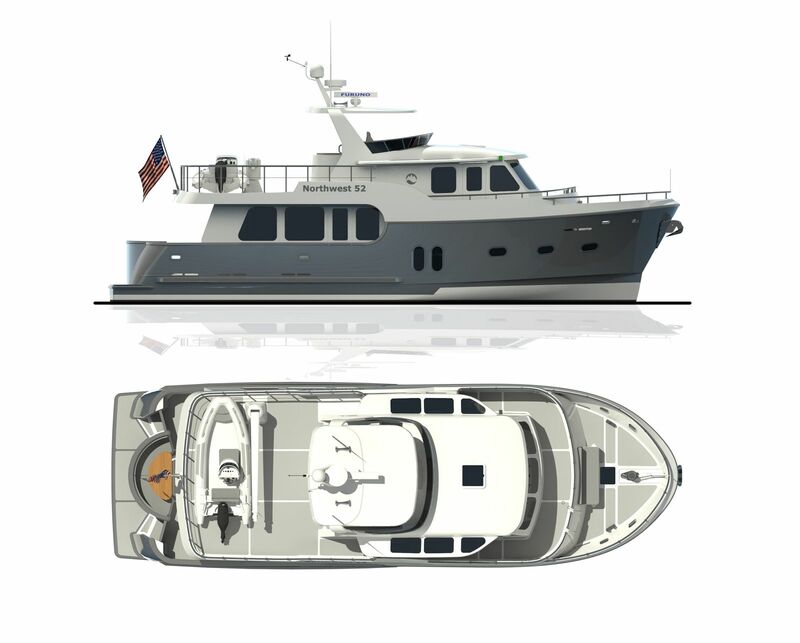 Whether it be the noticeable headroom or the luxurious appointments throughout, the interior of the Northwest 52 is accentuated by the yacht’s 17’ 6” beam. 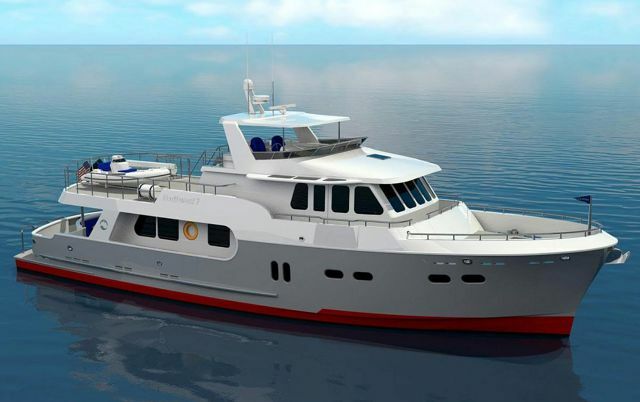 Powered by twin John Deere 330hp diesel engines, this trawler-style motor yacht stays true to its roots with extremely economical fuel efficiencies. With a normal cruise speed of 8 to 12 knots, owners can expect a range of 1,200 nautical miles when scaled back slightly to 7.5 knots. 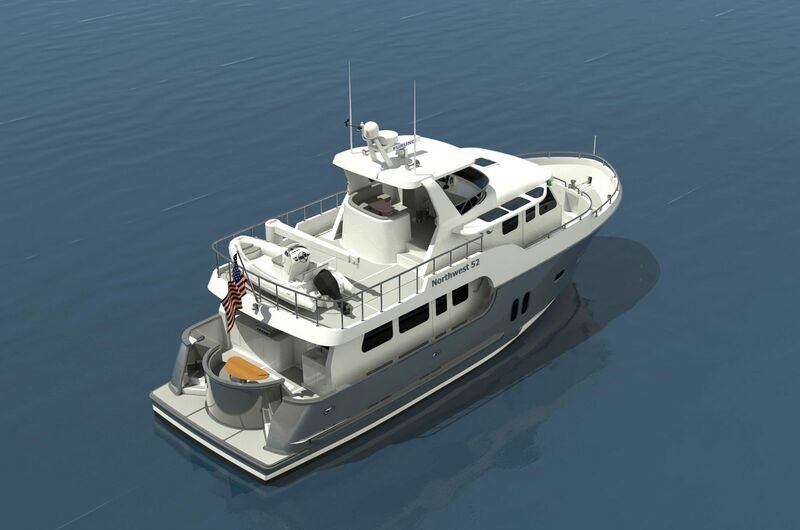 The Northwest 52 has a top end speed of 16 knots. 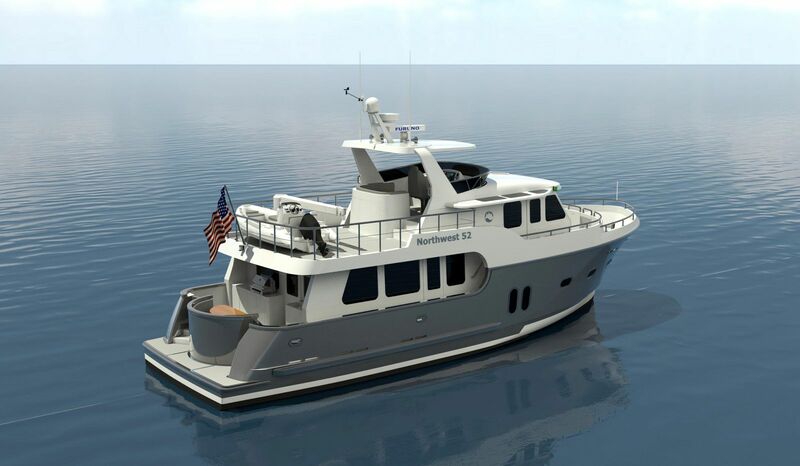 For more information on the Northwest Yachts 52 Trawler, please contact your Seattle Yacht Sales Professional today. Fuel Tank Capacity: 900 Gal. Black Water Tank Capacity: 120 Gal.